Oh, thanks for that. That 5 seconds of sight and sound brightened my day. Spitfire MH367 (with photographer Gavin Conroy in the back) led PZ474 down the taxiway, crewed by Steve Hinton and Warren Denholm. A few wide circuits, including gear tests, then we got a pass - most appreciated! Last edited by ErrolC on Sun Jan 13, 2019 1:22 pm, edited 1 time in total. Thank you Errol! I really appreciate you sharing your fantastic photos of the day's activity - what a gorgeous machine. Last edited by JohnTerrell on Sun Jan 13, 2019 2:54 am, edited 1 time in total. It was truly a pleasure John. 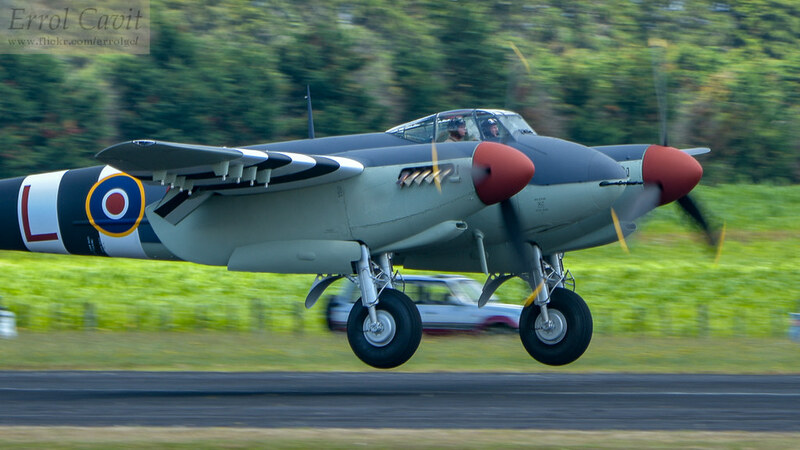 There is a better chance of it remaining for Wings Over Wairarapa at Masterton 22-24 Feb than Classic Fighters two months later. Fingers crossed. Last edited by ErrolC on Sun Jan 13, 2019 1:12 am, edited 1 time in total. More photos at two of our three big aviation blogs, MRC Aviation and NZ Civil Aircraft. Wonderful, wonderful news! Errol: I'm so glad you were there. I can only imagine how Glyn Powell must feel. Imagine his dream, years ago, that was enough to start the ball rolling, on scratch building the moulds to reproduce Mosquito fuselages. Skip to a few decades later and yet another gorgeous example of de Havillands genius returns to the skies. A hearty well done and congrats to everyone involved. She's a beaut! Awesome times. Thanks for the headzup! Congratulations to the teams at Aerowood, Avspecs and Lewis Air Legends! Talking of DZ542, I wonder if this is bound for the Biggin Hill Heritage Hangar following their announcement a couple of years ago? Initially didn't like the paint scheme but once finished, it may be my favorite. It rocks! What Mosquito is now closest to being the next to fly? What Mosquito is now closest to being the next to fly? With PZ474 now flying, there are three flying examples (active) in the world, and all three of those being from Avspecs - KA114, TV959, and now PZ474. 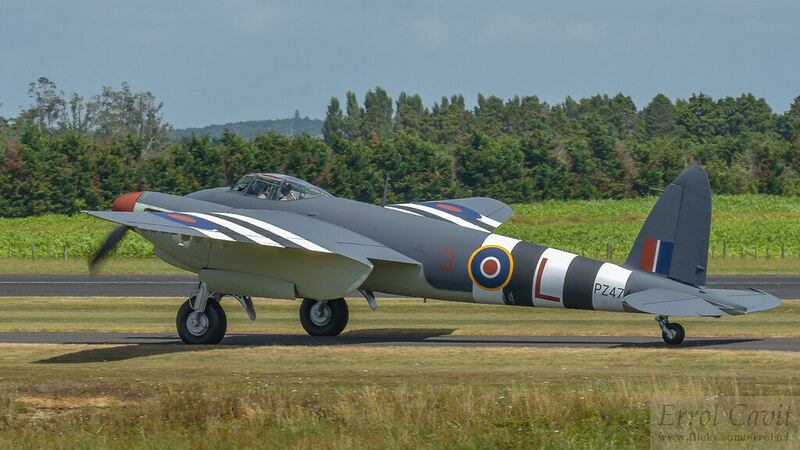 There would be a fourth example considered, that being the very original VR796, based in Canada, but after having flown several times in 2014 and 2015, it has not flown since 2015, and it sounds as though there is no immediate intention by the owner of flying it again. 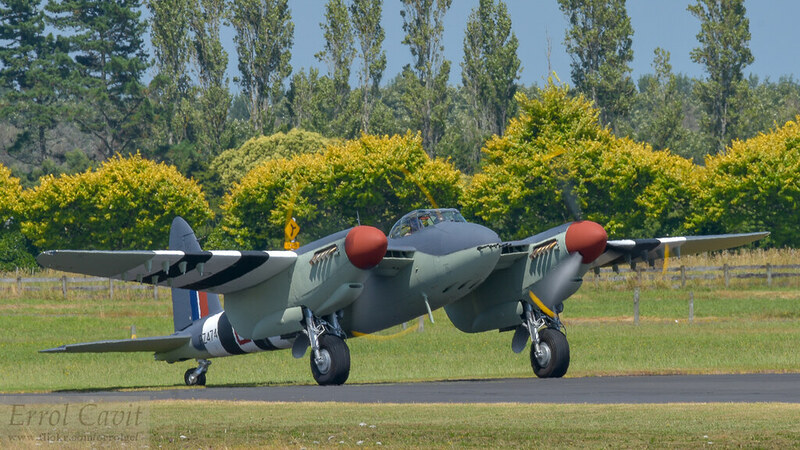 It can be said, however, that within a less than 7-year period (mid-2012 to early-2019), four DH Mosquitoes have now flown (three of which are now in Steve Hinton's logbook). Thank you JohnTerrell, that is a very helpful summary of Mossie goings-on. 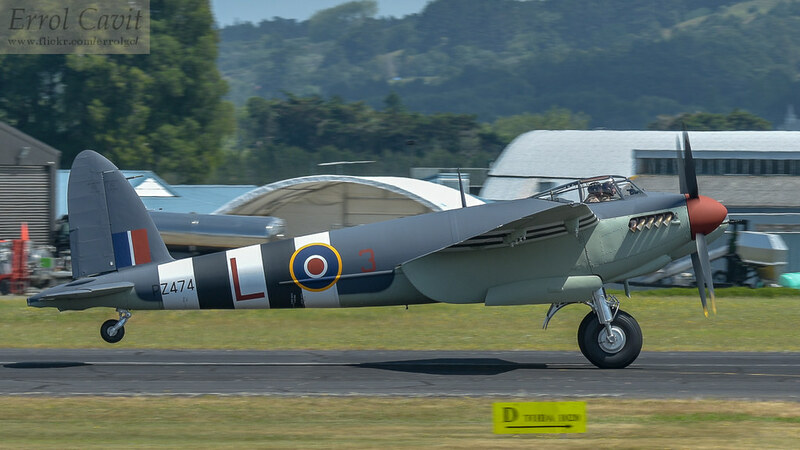 Here are some more photos of the Mossie and the Spitfire Tr.IX chase plane, and comparison photos of the three Mossies so far completed to airworthiness at Ardmore, both from the blog NZ Civil Aircraft.